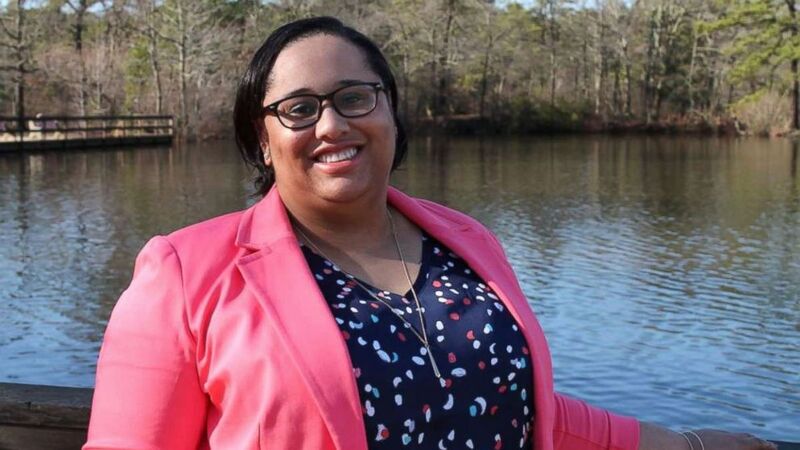 Ashley Bennett never thought that she would run for political office. When her first bid led to her victory against a male New Jersey county official who had mocked the Women's March, she said, "I was shocked." Atlantic County Freeholder John Carman irked Bennett back in January when he shared a sexist meme on Facebook. "Will the women's protest end in time for them to cook dinner?" read the meme Carman shared after the Jan. 21 march. Now Bennett, who works full-time as a crisis evaluator for a hospital, is slated to take Carman's seat on the county governing board, called the freeholders board, after winning at the polls Tuesday. Bennett said she became active in politics after Hillary Clinton lost to Donald Trump in 2016. When she first heard about Carman's meme on the Women's March the day after Trump's inauguration, "It was really hard to take in," she said. She wrote a letter to Carman's office but never heard back. Carman's office did not immediately respond to ABC News' request for comment. Then she took a day off work to go to the next freeholders' meeting in late January. "When I got there, there were lines outside to get in," she said, noting that one woman brought a box of macaroni and cheese and another brought takeout menus as ironic suggestions for how Carman could get his dinner. Bennett said Carman didn't apologize for the meme, instead saying "that the women that he surrounded himself with were strong and they weren't offended by it." "I got up and left," Bennett told ABC News. She decided to run, spurred by the results of the 2016 election as well as Carman's mocking meme. "I started to take notice of things, and there are some issues going on in my county that need to be addressed," she said. For example, she said, four casinos in the county have closed, including one where her mother used to work. "You become way more aware of what's happening," she said. Bennett isn't alone. On Oct. 28, Emily's List, a group that aims to help elect pro-choice Democratic female candidates, released a statement following a national women's convention saying that 20,000 women have reached out to the organization about running for office in the wake of the 2016 election. Bennett said she was "shocked" by her win. "It was a really special moment for me because I was the youngest person running on the county ticket and, just, people were so supportive and encouraging," she said. The freeholder post is a paid part-time job with at least one weekly meeting, so she'll be doing that in addition to her full-time crisis evaluator work. "It wasn't anything that I was expecting to do. I never thought I would run for office at all," she said.